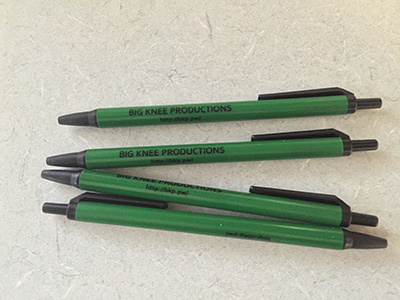 Official Big Knee Productions Clic Pens have arrived. They feature "Big Knee Production" lettering as well as the quick access URL of bkp.pw. If you walk by me on the street feel free to ask for one. It should be likely that I'd have one on me.